As expressed in the kanjiW used for the name of this most wonderful time of the year, Seimei is when nature is clean, clear, pure as described in the first kanji, ‘清’, and light, bright and brilliant as the next kanji, ‘明’. The name of the term is when the whole creation is brightened and lively under the mild, warm sunshine of the spring. People would like to go out and enjoy the fresh green in nature which should be one of the physiological phenomena of human beings. The naming of the term, as we have mentioned before, originates in ancient China, where at this time of the year was and still is a time when people pay respect to those who died and visit their graves, Qingming FestivalW, takes place. It is also known as the time to go on family outings into the nature to enjoy the fresh spring greens which the action of ‘treading on the greenery’ became another name of this term, ‘Tousei / 踏青(節)’. This tradition was brought into Okinawa prefectureW in 18th century which is known as ‘Shi-mi Festival’ of today. People would prepare and cook various traditional menu, clean and purify their ancestors’ grave in advance. 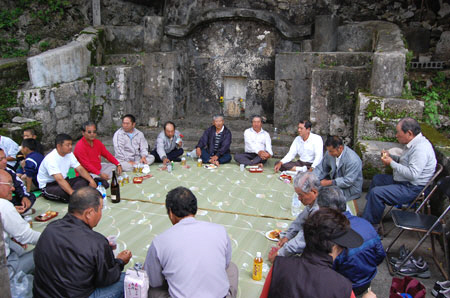 Then on the very day, group of families gather in their ancestor’s grave or burial grounds, drink and eat together like a picnic (** Grave in Okinawa differs to graves of other parts of Japan.). This festival only takes place in Okinawa which is like the Bon FestivalW around 15th August or a month earlier in some areas in other places of Japan. Family gathering of ‘Shi-mi Festival’ in front of their ancestors grave. Photo from Okinawa, ‘Nanjo City Official Website‘. Like June in occidental countries, many couples hold wedding ceremonies in Japan at this time of the year as the season is suitable for a new life’s start as well as invited guests’ formal clothes and journeys impose less burden. Still, there are many couples who follow the folklore of occidental countries and get wedded in June nowadays which is a rainy season in Japan. A very direct phrase expressing this season; ‘Tsubame’, the swallow ‘kitaru’, a verb meaning to reach. Yes! 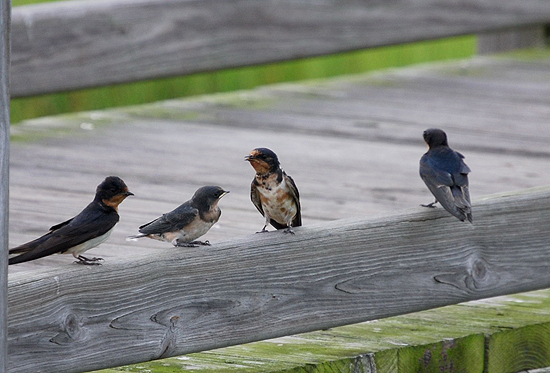 It’s already the season when one of the migratory birds that come to Japan, the swallow is here! Most of the swallows you see in Japan during spring to autumn are from Taiwan, Philippines and Indonesia but there are few which pass winter in Japan. Besides those fly away from Japan in winter, some swallow which hibernate are called ‘Ettou tsubame’, ettou’, meaning to hibernate. The swallows which spent their winter in Japan must be happy of the arrival of both the lovely season full of food as well as their fellows from overseas. Those which traveled long must be also feeling happy and relieved to have arrived safely in their former nests in Japan. As swallows have habit of breeding near human, like eaves of the houses, they have been one of the familiar and useful birds to the Japanese because they eat insects that do harm to the rice crops. Still more, because that they bring up their juveniles well, their scene became a symbol of good child nursing in the old days. Tsubame, the barn swallows arrival. We’ll be seeing this cute sight near out houses soon! Their nests with many juveniles and parents are thought to be also representing ‘thriving business’ or ‘safe place’. Some merchant houses and many houses keep the swallows’ nests carefully even after the swallows left. We have heard that many people who have kept the swallows’ nests built near their houses had the experience of returning swallows the following year which was a great joy, meeting them again! 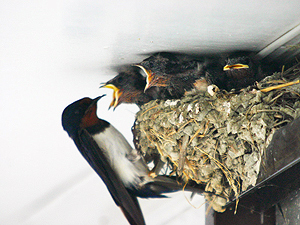 It may be easier to see the breeding of swallows in Japan, with cute juveniles opening their mouth wide in their nests, than in countries which houses are taller because the house-eaves here are at the height easy to observe. Tsubame patterns seen in Edo print of kimonoW. 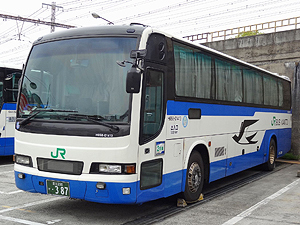 JR highway bus with swallow symbols on sides. Photo from ‘Toshikousoku bus & tstudou blog‘. The sense of affinity towards swallow can be seen in designs of old Japanese fabric patterns and name given to technique of KenjutsuW – the method of sword, JudoW and Shorinji KempoW – one of the Japanese martial art, which are all related to speediness of the swallow. If you travel through Japan in trains or busses of Japan Railways GroupW, you may see their symbol designed with swallow besides ‘Suica penguin’ or ‘PlatypusW Ico-chan’ (** They are mascot characters of rechargeable contact-less smart cards used as a fare card on train and bus lines.). The first given name of ‘Tsubame’ with swallow designed symbol was to the super-express train running between Tokyo and Kobe in 1930’s which the symbol motif still remains. 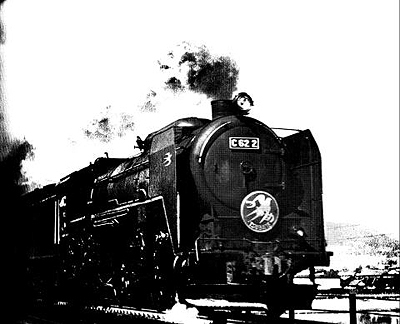 Super-express train ‘Tsubame’ in 1930’s, running between Tokyo and Kobe in 8 hours, 20 minutes (now 2 hours, 50 minutes). Can you see the swallow symbols in front and on the side? Photo from ‘Orchid Place‘. Where quiet waterfowls play peacefully, a swallow came flying and disturbed their peace. A young swallow will fly away now for the peace of the pond. Raicho Hiratsuka, already famous and had many supporters, was disturbed by the public for her romance with this younger man. She had to explain her fans by publishing his last letter on her bulletin, ‘Seito’ which caused a sensation, leaving, ‘Wakai Tsubame’, a vogue word. In early 2000’s, there was some sort of a boom among women with enough social experience to have ‘Wakai Tsubame’ but were teased by the public as; ‘mother’, rather than a ‘lover’. 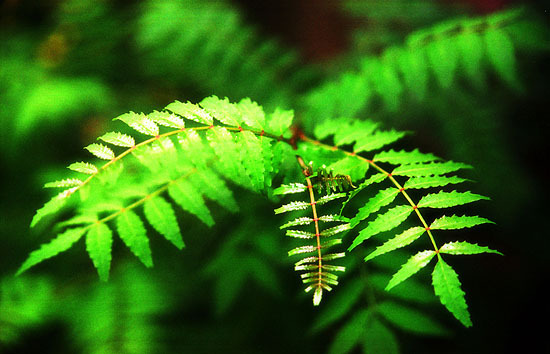 Kinome is a specific name given to leaf bud of Sansho or the Japanese PepperW. (** It is also called ‘Ha-zansho’. ) Sansho is an aromatic spiny small tree or a shrub that grows wild in the mountains or planted as a herb, used for cooking in home gardens of Japan. Sansho is said to have been a savoury and a medical herb to the Japanese from ancient times as pre-era, in Jomon periodW. Since Sansho’s use varies in its growth process as; leaf buds, flowers, fruits, rinds of the fruits, branches and trunks, it should have been one of the trees planted inevitably in home gardens. ‘Kinome’, leaf buds of Japanese Pepper in beautiful fresh green. Photo from ‘yunphoto.net‘. 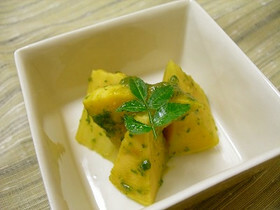 Kinome is a seasonal savoury at this time of the year in Japanese dishes as ‘bamboo shoots in Kinome-ae style’ which is boiled young bamboo shoots, tossed in a dressing sauce made from white misoW and grinded Kinome. Young bamboo shoots tossed in Kinome Miso, ‘Kinome-ae’, a traditional spring Japanese dish. Photo from ‘Cookpad recipie by pandapanco‘. This dressing sauce made from white miso and grinded Kinome is called ‘Kinome Miso’ which could be used as a topping sauce of grilled tofuW called ‘Kinome Dengaku’. Besides grinding, the leaves could be used as ornamental herb on grilled fish, stewed vegetables or as fragrant garnish for soup to give off more of the spring feeling. Picking Kinome off from the branches was one of the children’s tasks to help mums. We were asked by our mums when we were small but hated it because there was often a fat green-and-black-striped caterpillar with two sticking antennae munching the very fresh buds! They surely knows what’s good in spring to eat….